An average of 22 veterans a day commit suicide — a stark and shocking statistic from the Department of Veterans Affairs. Some can't live with the physical injuries they received while serving in the U.S. military. But the majority can't coexist with the memories, the flashbacks, the ongoing agony of what their day-to-day lives were, not so long ago. In 2011, one local woman joined the fight to help these men and women return to life as it was before battle conditions became the normal state of affairs. "My son, a veteran K9 police officer, worked as a contractor for the Department of the Army as a bomb dog handler," said Shari Duval, wife of professional golfer Bob Duval. "He served two tours in Iraq and returned home with PTSD (Post-Traumatic Stress Disorder). This inspired me and my family to look for ways to help him and these other deserving heroes." 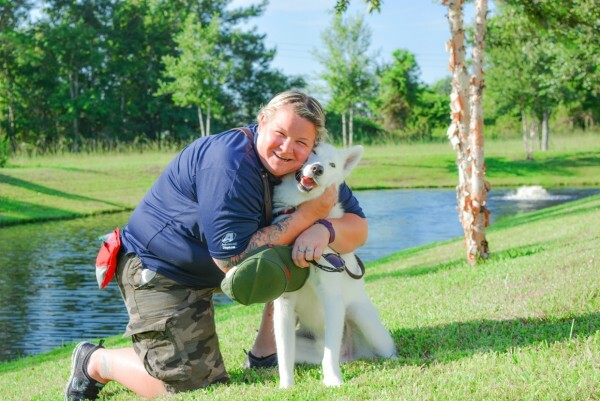 After two years of research on canine assistance for PTSD, Duval and her son, Brett Simon, decided that the best way to help was start a nonprofit organization to train and give service dogs to military veterans to assist them in their efforts to return to civilian life with dignity and independence. And K9s For Warriors was born. The original K9s For Warriors facility was an average-sized four-bedroom, two-bath house in a rural area of Ponte Vedra Beach, serving three warriors and dogs a month. The organization's present 24,000-square-foot facility sits on nine acres in Nocatee and now serves 12 warriors and dogs per month. "Everything for our new facility was donated — from the land to the construction to the artwork and TVs," said Rory Diamond, K9s For Warriors chief executive officer. "We had 119 subcontractors donating their time, materials and expertise to build this home for our warriors who richly deserve it. It would have cost $7 million to build it, which we didn't have, but the generosity of the community came through for us." With 81 employees at this facility, K9s For Warriors is getting ready to add another campus, with an increased capacity, on 86 acres outside of Gainesville. "Even as we have grown so much, we haven't lost sight of what has worked in the program from the beginning — the one-on-one attention to each warrior and to each dog," Diamond said. "Our goal here was to replicate the feel of the original little house on a larger scale, but without losing the intimacy — and I think we've done that." Everything is centered around the Warriors' Clubhouse, which is open to them 24/7 and has a cozy living room, a kitchen, gym and library with computers. "We try to keep staff and visitors out of this area as much as possible, because this is where our warriors can relax and feel totally secure," Diamond said. "Behind the clubhouse is the pool and the warriors' houses. There are four units with four bedrooms and two baths each, as well as a kitchenette and living area. They're quite comfortable and have everything the warriors need, but are not designed to spend a lot of time in the rooms." The three-week program begins with the warriors' arrivals on Sunday. Then, Monday is meet-the-dogs day. "I'm sure you can imagine what these veterans are like when they arrive; they're anxious, needy and fearful — dealing with the trauma of what they've been through," Diamond said. "Then they meet their dogs, who are all rescues and have also been through sometimes unspeakable trauma. And they all cry. 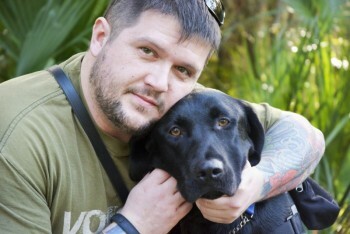 I don't care if it's a 200-pound Marine with sleeve tattoos, when he meets his dog, he cries. It's very emotional for the rest of us, too, to see hope reborn right in front of you. It's what keeps us doing what we do." 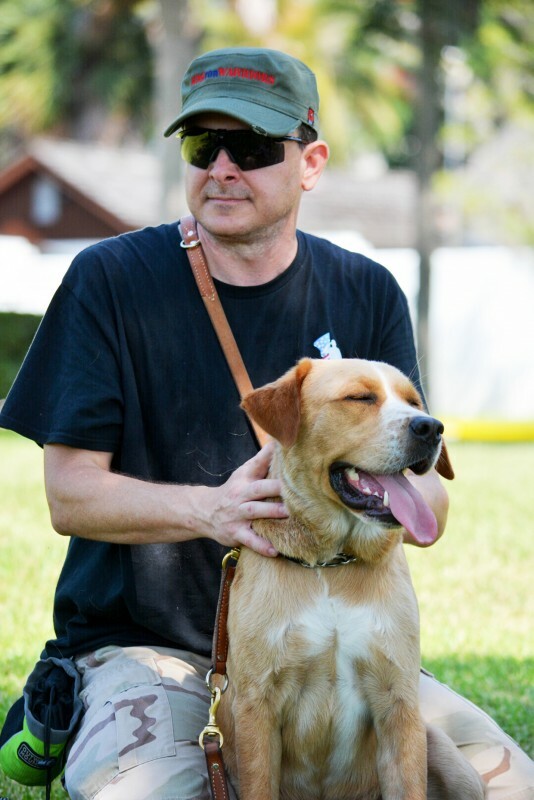 The program is well-structured to provide opportunities to train with the dogs, to go out into the community to stores and restaurants, which might have been impossible for many veterans. Time to relax and unwind from the tensions of the day is not forgotten, hence the clubhouse and the pool. "The dogs are allowed in the pool, too, and it's a lot of fun to watch them splashing around with their new companions," Diamond said. "The warriors need time to relax and time to play — many have forgotten how to do both. Once they are here, they nearly double the time they spend sleeping, too, because of a new sense of security. Then, they have to go out and brave the world, and they have to take care of their dogs. It gives them a reason to get up in the morning." Expansion of the Nocatee facility is in the cards for the next year. A new two-story building will be built with the first floor used for recertifying the dogs (a yearly requirement), and the second floor dedicated to research. A new training center will augment the seven training yards and will have replica stores and restaurants to ease warriors into the outside world. 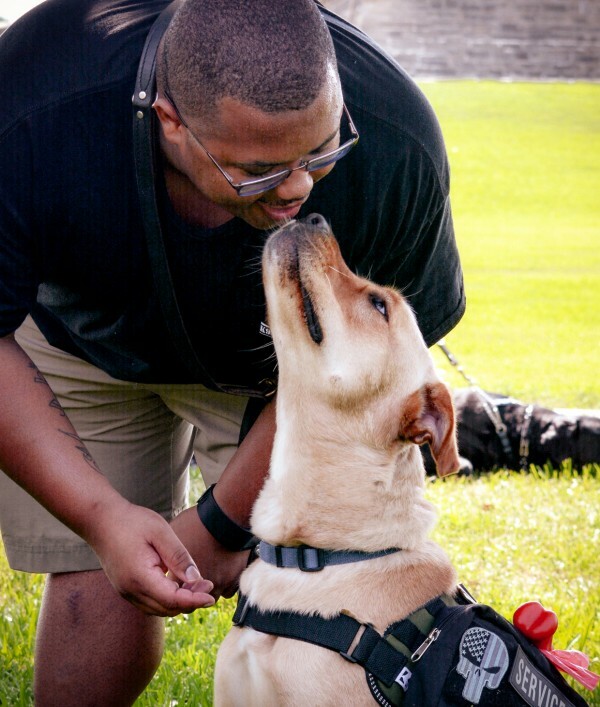 The research aspect of the organization includes a two-year trial study by Purdue University and the National Institute of Health, which will be the bedrock for the next generations of veteran/canine assistance programs. "There really isn't any research except ours," Diamond said. "We know the program works, but we have to prove it. This research will measure the warriors' cortisol levels to show how having these canine companions actually changes the physiology of their brains. Then the next step is to get the V.A. to pay for the program, which it does not do at present. "There's a whole national conversation that needs to be held on this subject, and K9s For Warriors has decided to lead it." If you would like to help save a dog and a warrior, call (904) 686-1956, email info@ k9sforwarriors.org or visit the website k9sforwarriors. 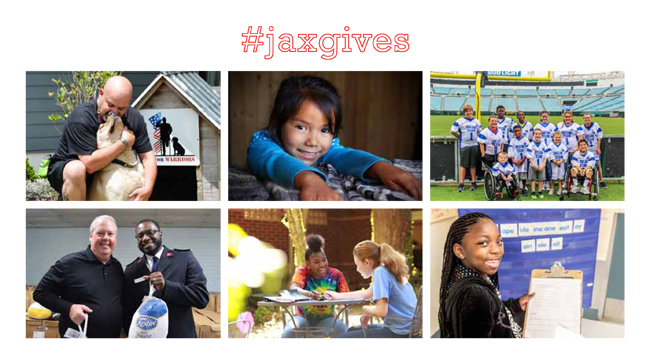 org and click on the "Donate" button.